The gun lobby’s remarkable success in using these engaging slogans to frame the gun control debate has allowed it to block lifesaving gun legislation for decades. But is there any truth to this bumper-sticker logic? 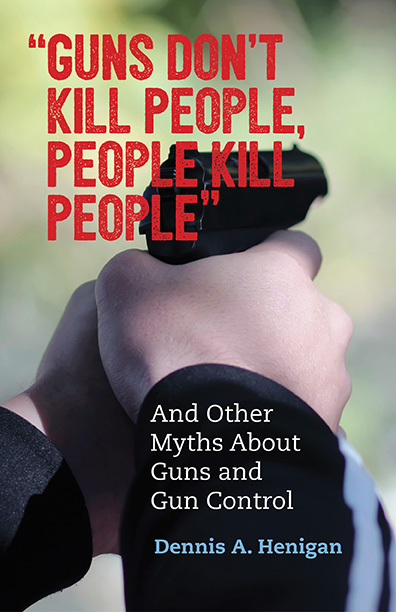 Dennis Henigan exposes the mythology and misguided thinking at the core of these pro-gun catchphrases, which continue to have an outsized influence on public attitudes toward guns and gun control. He counters the gun lobby’s messages by weaving together the most compelling current research and insights drawn from the grim reality of deadly gunfire in our homes and communities. Henigan charts a new path toward ending the American nightmare of gun violence. Buy it from an Indie Bookstore, Barnes and Noble, Amazon, or Beacon Press.